At 6 1/2 inches long and 10 ounces, the Z1 Auto Travel CPAP Machine is the lightest Auto-CPAP machine available. It is small in weight and size yet big on comfort. 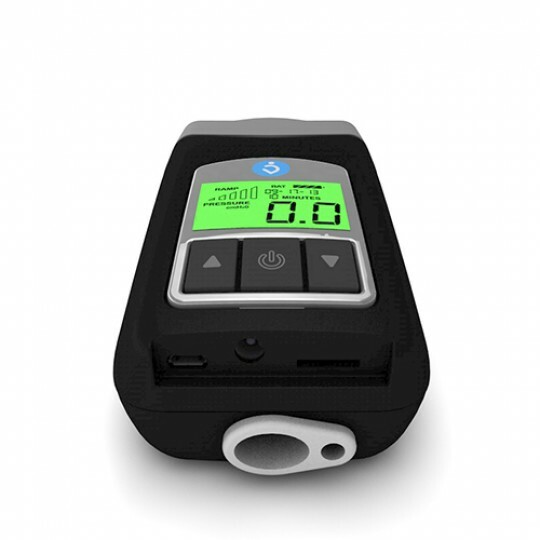 Advanced features such as Z-Breathe exhalation relief and Nitelog data viewable on an iPhone or iPad make the Z1 Auto a great option for home and travel. 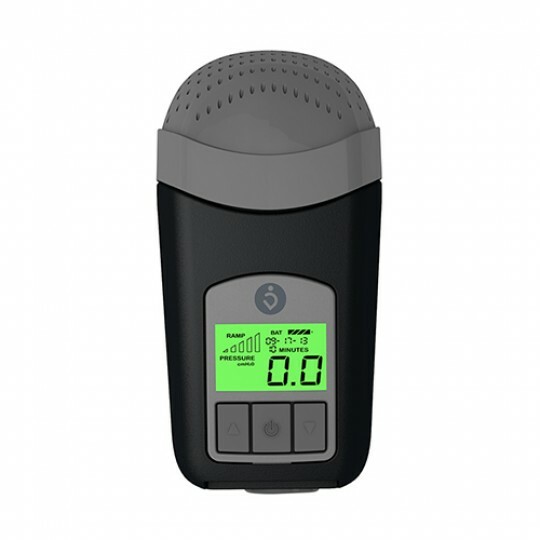 The very small and lightweight Z1 Auto Travel CPAP Machine can be added to carry on luggage or a tote making CPAP therapy more easily added to a busy lifestyle. Activities away from electricity can be a reality by adding the OPTIONALlightweight, integrated battery system. This is an auto adjusting CPAP machine designed to deliver the most effective level of air pressure on a breath by breath basis all night long. 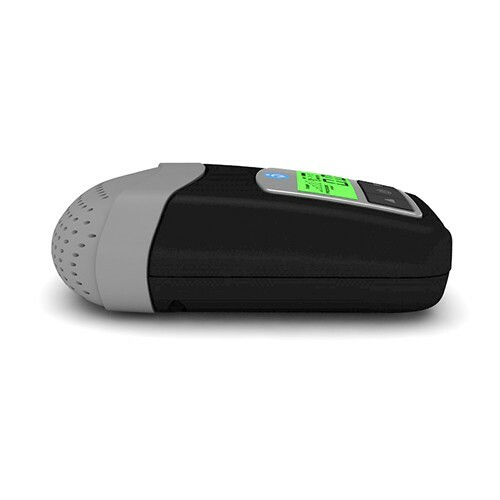 The Z1 Auto can be set as a single pressure CPAP if desired. The Z1 Auto has a built-in Bluetooth chip used to wirelessly connect to a nearby iPhone or iPad using the free Nitelog app. This machine transmits usage data to the phone or pad for review using the application. Nitelog will allow the user to adjust basic machine settings such as Z-Breathe and ramp. Nitelog compiles the reports for the past day, week or 30 days of use. The report can be emailed from the iPhone or iPad, or screen shots can be snapped and stored to the memory of the phone or pad. The Z1 functions can be performed on the Z1 machine without the use of Nitelog. Using Nitelog: Download the Nitelog App from The App Store to an iPhone or iPad (NOT included with purchase). The Bluetooth function recognizes and syncs with the Nitelog App on the nearby iPhone or iPad. Plug the power supply back on and immediately hold down the Down Arrow Button. Data related to usage time and leaks is recorded on the Z1 Auto. The software to view the data on a Windows computer can be downloaded here: Z1 Software. Compatibility Note: At this time the software is compatibile only with 32 and 64 bit Windows computers. It is not currently compatible with Mac operating systems. Using the included Micro USB Cable connect the Z1 Auto to the computer. Auto Altitude Adjustment: The Z1 Auto machine automatically adjusts as needed for changes in elevation. It can operate from sea level up to 8,000 feet above sea level. 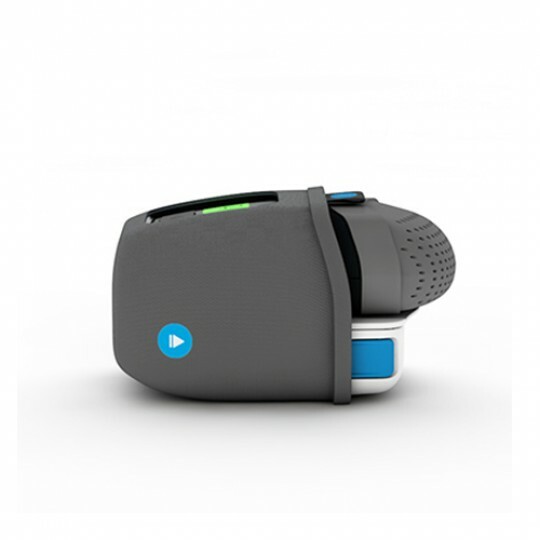 Leak Compensation: The Z1 machine adjusts the pressure to account for minor air leaks to help ensure the prescribed pressure is being met during therapy. If an excessive air leak is detected the word "REMINDER" is displayed on the screen. Correct the leak to remove the word "REMINDER" from showing on the screen. The PowerShell includes a handy lanyard allowing the machine and battery to be hung close at hand, such as on a headboard or from a tent pole when camping.